Will NS Series Super SPO be harmful to prawns? No. The bacteria and enzymes contained in Super SPO are what is found in nature and are not genetically mutated or engineered. They are specially selected, adapted and cultured for them to be at least 1,000 X more potent than what is found in nature in order for it to degrade organic metabolites so much faster. Why should Super SPO be applied weekly? Theoretically, if you inoculate bacteria into any contained environment, it will reproduce itself by binary fission and propagate itself indefinitely. However, there are many factors which will diminish the bacterial population. UV light from the sun can kill some, temperature changes, pH fluctuation, nutrient depletion, etc. can also diminish the population. Through experience and tests, it is best to apply Super SPO on a weekly basis. Will bacteria in Super SPO kill other harmful or disease-causing microorganisms? Super SPO is not an antibiotic. However in microflora, there is a natural antagonistic effect when different species are found together. When you inoculate your ponds with Super SPO, you achieve firstly, the proliferation of specific bacteria for them to dominate the contained environment. Secondly when this is achieved, bacteria will do only one thing, and that is to survive. And in order to survive, they need nutrients. When you have a dominant strain present, the other species will now be greatly diminished because they have to fight for whatever nutrients there are. One example is this: tail rot, black gills incidences have been greatly reduced upon the application of Super SPO. Through experience, we can easily conclude that Super SPO can be a very effective disease preventive product. However, it should not be used as a curative product. What do I do in case of over-blooming of plankton growth after application of Super SPO? Some ponds which have a highly deteriorated pond bottom and with high organic loading will cause over-blooming after the application of Super SPO. This proves that the product goes to work immediately. Because of sudden decomposition of organic metabolites by bacteria in Super SPO, the sudden release of nutrients is tremendous, thereby causing plankton over-blooming. When this occurs, simply change 5 to 10% water daily until plankton stabilizes. Check also feeding regimen. Over feeding will contribute to high organic loading and subsequent deterioration of your pond bottom. Why are my juvenile prawns consuming less pellet feeds after the application of Super SPO? After the application of Super SPO and subsequent release of nutrients, plankton and algal growth which is the natural food of prawns are enhanced. Prawns will always prefer natural food compared to commercial feeds. As long as their growth rate is monitored and maintained, there should be no problem. This is one of the main reasons why many farmers experience FCR improvement after using Super SPO. This will happen specially to juvenile prawns under culture. Can I apply lime when Super SPO is in use? Other than antibiotics or chemicals like copper sulfate, sodium cyanide, etc. which will directly kill microorganisms, there is no problem with simultaneous lime and Super SPO application. There are products in the market which claim to have so much bacterial count and so many species involved in their products, how effective are these compared to NS Series Super SPO? The efficiency of bacterial products is not measured by the number of species or bacterial count per gram or ml. You may have as many a hundred species. But are these necessary or do they really work? The efficiency of bacteria in a probiotic product is measured by the amount of enzymes they can produce for efficient organic metabolite degradation. The bacteria available in Super SPO are of the genus Bacillus ie: B. subtilis, B. cereus, B. megaterium, B. lichineformis and B.pumilus. The enzymes contained are amylase, protease, lipase and cellulase. These are more than enough to degrade organic metabolites which are normally found in a prawn farm. Researches show that Bacillus are very hardy and stable compared to species like Pseudomonas, Clostridium etc. One main reason why Bacillus are very sturdy is when nutrients are depleted, Bacillus form spores. And when nutrients are again available, these spores are activated again and form another generation. What is the difference between liquid products and powdered ones? Powdered products are so much more stable than liquid and have a longer shelf life as compared to liquid products. Powdered products are more concentrated. Liquid products will have a maximum shelf life of 6 months to one year without decreasing efficiency while powdered products which are properly fermented can have a minimum shelf life of two (2) to three (3) years from date of formulation. Prawns have more appetite because bacteria in Super SPO have degraded a lot of pond bottom pollutants, leading to a healthier environment for the prawns. Bacteria in Super SPO will be consumed also by prawns. When these are ingested, the enzymes consumed enhances the digestive capacity and metabolism of the prawn. Pellet feeds are also being degraded by bacteria in Super SPO and the nutrients contained therein are more readily absorbed by prawns because of enzyme activities. 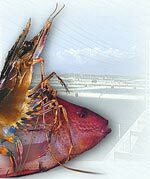 When pond bottom is not polluted, prawns are overall healthier and thus consume more food. This results in the improvement of FCR and ABW. Will Super SPO cure tail rot, black gills, red discoloration, etc.? Again, Super SPO in itself is not curative. However, numerous users can readily attest to the fact that incidences of tail rot, black gills, etc. have dramatically decrease after 24 hours to 48 hours of application. This again is due to the fact that pollution in pond bottom have been minimized. And because of the “Principle of Dominancy”, other species will die out and not thrive. Once bacteria in Super SPO achieves dominancy in a pond, other harmful microorganisms will die out because of antagonistic effect and the limitation of nutrient availability. What signs are there that the product is working once applied? Plankton growth is immediately enhanced. Depending on water source, color of water changes to either golden brown or green 24 hours after application. Turbidity in the water column is lessened. Bacteria in Super SPO have the ability to flocculate and coagulate suspended solids and degrade these solids efficiently. Transparency is reduced because of better plankton bloom. However, watch out for over-blooming. Any transparency measurement of 20 cm and lower should be monitored closely as this may lead to over-blooming and subsequent die-off. Many users have noticed the tremendous reduction of sludge after harvest. Many ponds have practically no sludge at all. Water quality remains good, thereby lessening water change and saving tremendously on pumping expenditures. Ponds applied with Super SPO will have little or no hydrogen sulfide smell (rotten egg smell) after harvest). Harvested prawns are always cleaner and with minimal defects thereby commanding better selling prices.